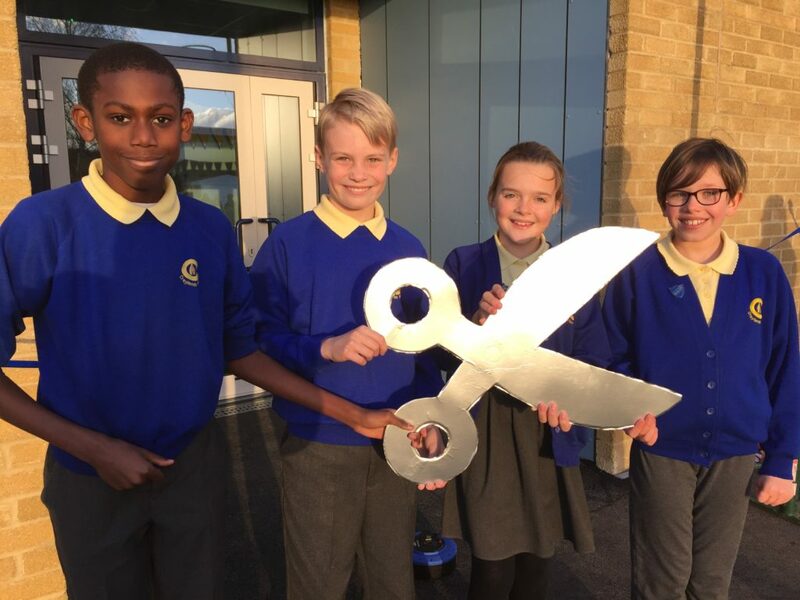 Pupils, families, staff and special guests marked the opening of a new £1.9m building at The Craylands School with singing and the ceremonial passing of a giant pair of scissors. The brand-new block will allow the Swanscombe school to expand from a 1FE (form of entry) primary school to a 2FE one. The two-storey building, which will be used by Key Stage 2 pupils (School Years 3 to 6), features eight classrooms and two group rooms with toilets and storage space. Outside the block is a new Multi-Use Games Area (MUGA), where children can play a variety of sports, as well as additional car parking spaces. A grand opening ceremony took place at the school on Friday afternoon (November 30). All pupils stood in a wiggly line, stretching from the original school building, across the playground to the new one. 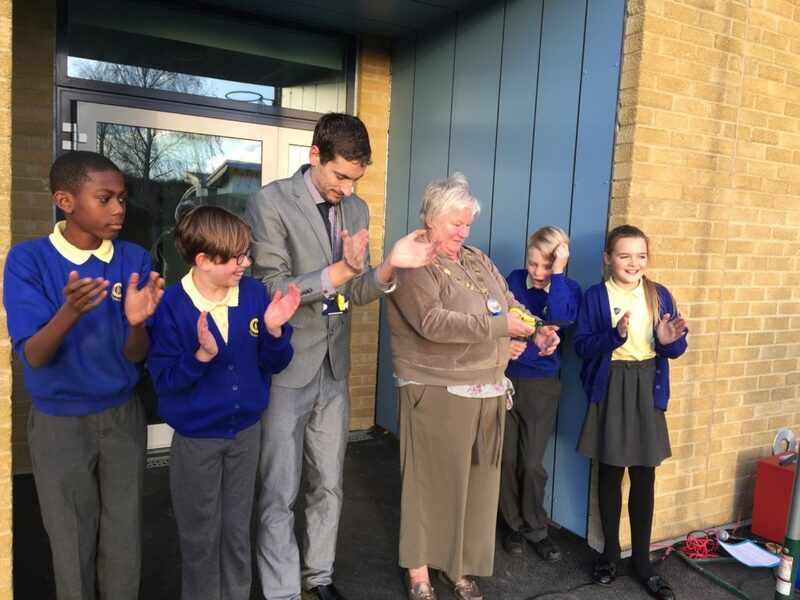 The children waved blue and yellow balloons in the air and passed a large, shiny replica pair of scissors from one end of the line to the other, which were swapped for a genuine pair for the ribbon cutting. 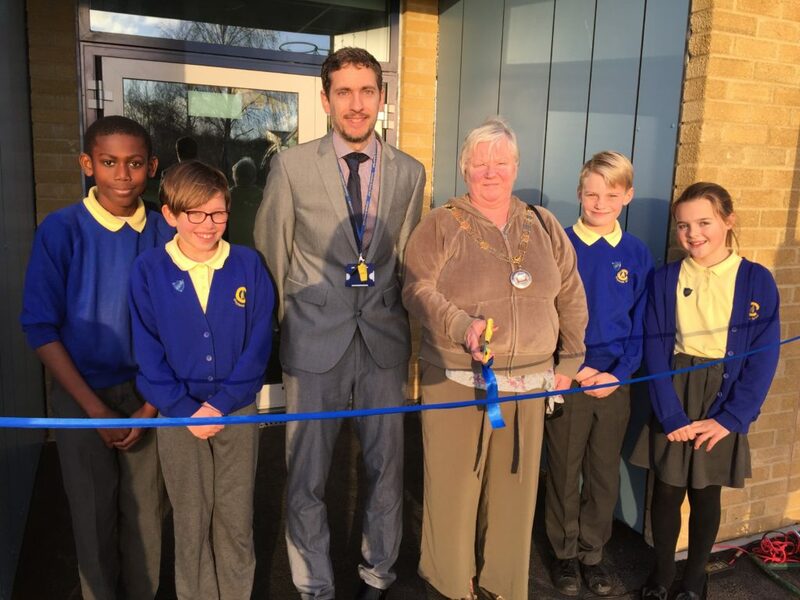 Mayor of Swanscombe and Greenhithe, Cllr Anita Barham, cut a blue ribbon in front of the doorway to declare the building officially open, helped by head teacher Kris Hiscock, the head boy and girl and deputy head boy and girl. The head teacher made a short speech and the children sang One More Step Along The World I Go, which was symbolic of the fact the new building is Phase 5 of a six-phase development process. After the ceremony, parents, guardians and other family members joined pupils for tea, coffee, cake and games. 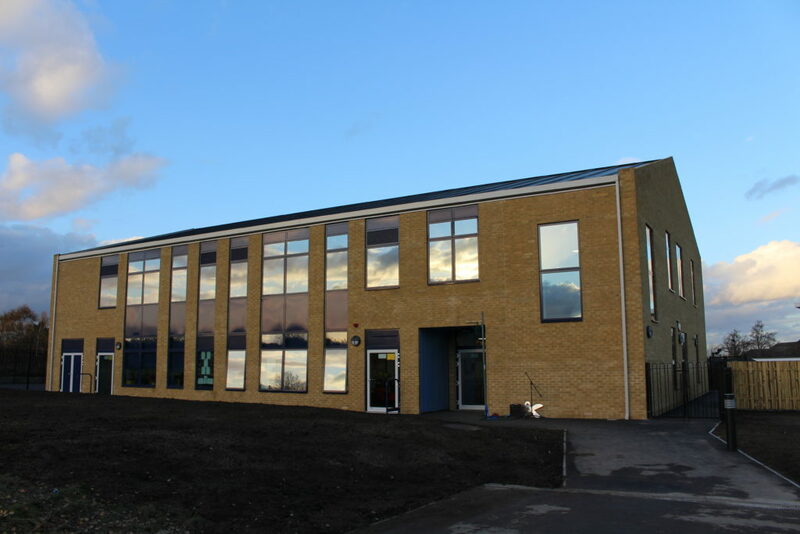 Mr Hiscock said: “We are delighted the new block has now been completed and is ready for pupils and staff to move into. The children have already had a look around and are very excited about the building – particularly because it has an upstairs with fantastic views out over the surrounding urban and rural areas. 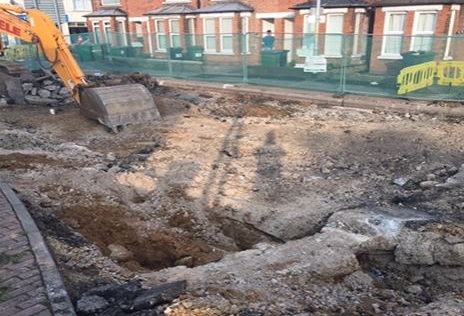 “I would like to thank my staff and governors, parents and guardians, and particularly all the children for their patience and understanding during the building works. I am also thankful to staff at KCC, especially Natasha Petley, the project manager from Gen2, Coombs contractors, in particular Dave Coombs and Malcolm Jones, site managers, for making this possible. The expansion of The Craylands School, which was originally built in the early 2000s, was deemed necessary by Kent County Council following significant housing development in the Swanscombe and Greenhithe urban area in the last 10 years, including at Ingress Park and Ebbsfleet Garden City. A high birth rate nationally as well as more families moving into the Dartford district were also contributing factors. The new building is Phase Five of a six-phase development process. The building cost £1.9m, which came from the Government’s Basic Needs Programme. 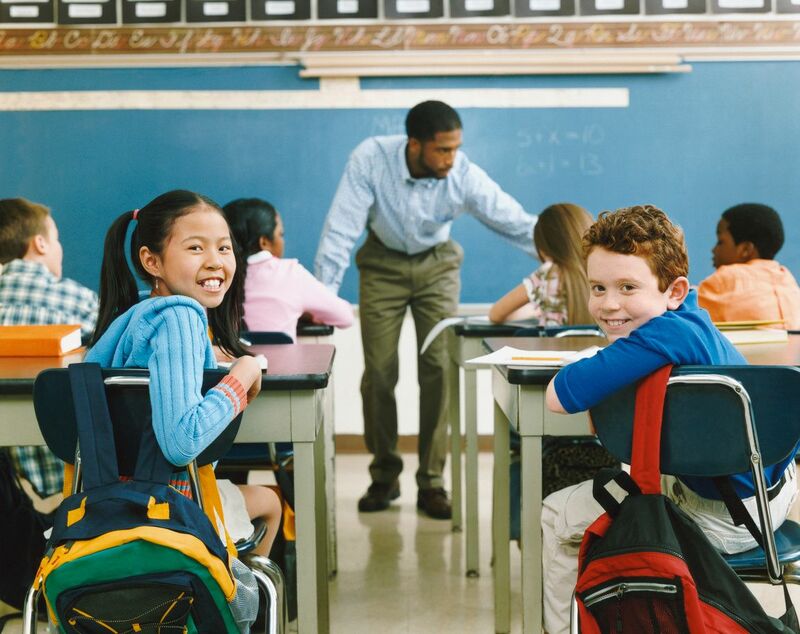 Phases One to Four involved knocking through a wall between the Early Years and Foundation Stage classes, building a new school kitchen, expanding the school hall, and making changes to the mobile classrooms with an additional unit provided. Phase Six will result in changes made to the current building in relation to toilets and staff room size. The new block is clad in buff bricks, similar to the existing school, and window configurations consisting of glazing, solid panels and louvres panels sit between the brickwork plinths to emphasise the classroom areas. The pitched roof references material of the curved roofs of the existing school. Louvered panels sit above a number of windows and doors to assist in the ventilation of the classrooms. Double glazed aluminium doors and windows with opening lights are powder coated and finished in light grey and blue. External doors to the classrooms will enable the spaces to open out onto the playground area.